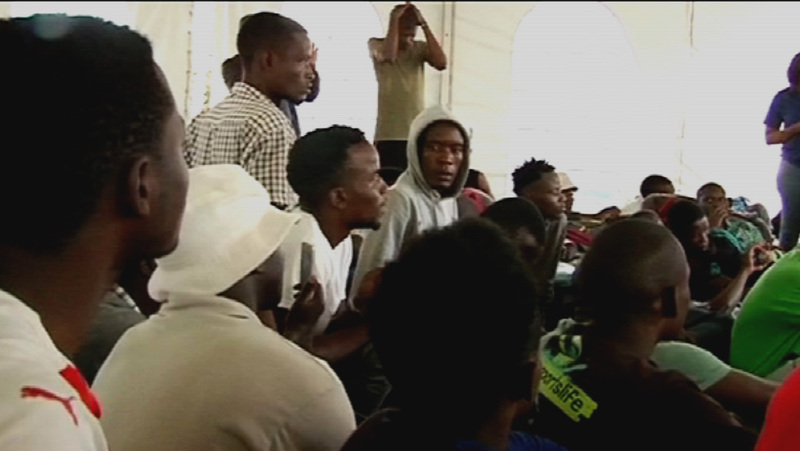 eThekwini Municipality has begun the process of reintegrating about 300 displaced migrants from Malawi back to where they lived, but Malawi authorities have have expressed concern over their safety. They were allegedly attacked by locals early this week. The Malawian Embassy to South Africa has confirmed over 50 of its citizens are willing to return to their country. About 300 of them were allegedly removed from Sydenham, Sherwood and Burnwood in Durban. They were accommodated in tents since the incident. The eThekwini municipality denied the foreigners were attacked, claiming a fight between a Malawi national and a local sparked the conflict. President Cyril Ramaphosa has condemned any attacks on foreign nationals. Speaking on Ukhozi FM on Saturday afternoon, President Ramaphosa called on all South Africans to embrace fellow Africans. He said South Africans were warmly welcomed in these countries during apartheid. On Saturday eThekwini municipality supervised the reintegration of the displaced migrants but emphasised the importance of having legal document. “They are going back to make sure that they put everything in order if they come back. Because the challenge is if you don’t have documents in place, if whatever issue happens you are not going to the police station and report. I should think that is the problem,” says eThekwini Metro Mayor, Zandile Gumede. While some Malawi nationals are willing to go back home, others want to remain in South Africa. “My main concern is that if people are going back to the community their safety has to be assured that’s our major concern. If the issue of safety is well assured I would say I will be happy,” says Acting High Commissioner of Malawi to SA, Gloria Bamusi. Locals say they are ready to welcome them back. In a statement the Department of International Relations and Cooperation said it has called an urgent meeting with African ambassadors to discuss the current spate of violence against foreign nations. The attacks on foreign nationals in Durban has again thrown sharp focus on efforts to successfully integrate immigrants into society.These incidents have a direct impact on stability at local, community and national levels. The post eThekwini municipality reintegrates displaced migrants appeared first on SABC News – Breaking news, special reports, world, business, sport coverage of all South African current events. Africa's news leader..